Despite the profound importance of chaperones to all proteins, the principles of their action remain surprisingly mysterious. We know that polypeptide chains fold into complex structures, but how can another protein help to solve this puzzle? The structure and function of chaperones like Hsp70 and GroEL has been studied extensively, but traditional methods are not well suited to detect the crucial conformational changes of their client proteins. Recently it has become possible to do so. We have pioneered the use of optical tweezers for this purpose, and for instance applied it to the chaperones SecB, Trigger Factor, and Hsp70 (Science 2007, Nature 2013, Nature 2016). We are integrating single-molecule fluorescence visualization at super-resolution precision, and developed methods to probe single actively translating ribosomes and their associated chaperones. In this project, you will measure the conformational and compositional dynamics of key chaperone systems for the first time, and further extend the capabilities of single-molecule detection. Folding pathways are traditionally studied for proteins in isolation, even though chaperones are critical to achieving native folds. Consequently, the mechanisms by which chaperones act remains poorly understood. We address this question with a single-molecule approach, using optical tweezers, protein constructs, and computer modelling (Science 2007). The stochastic nature of gene expression is increasingly understood, but how it impacts growth and fitness remains unclear. We investigate this issue using genetic engineering, microfabricated flow-cells, single-cell time-lapse fluorescence microscopy (EMBO rep. 2009). Past research topics include single-molecule studies on DNA packaging by bacterial viruses, and carbon nanotube-based electronics. You need to meet the requirements for a doctors-degree and must have research experience in a non-Dutch academic environment. We are looking for an outstanding experimental physicist or chemist with an interest in single-molecule biophysics, and a strong drive to excel in a ambitious international environment. The position is intended as full-time (40 hours / week, 12 months / year) appointment in the service of the Netherlands Foundation of Scientific Research Institutes (NWO-I) for the duration of two years. 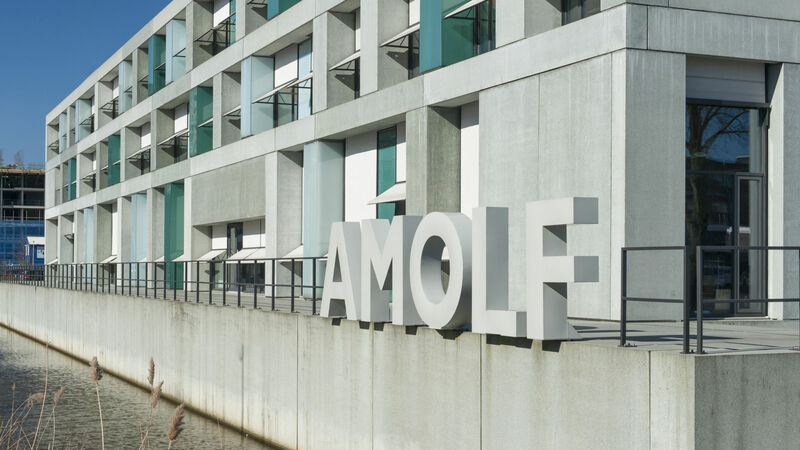 AMOLF assists any new foreign postdoc with housing and visa applications and compensates their transport costs and furnishing expenses.